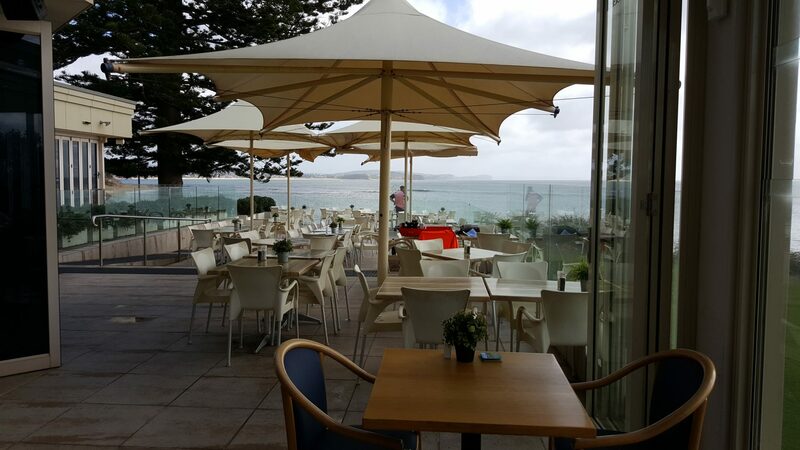 We had old storm damaged umbrellas on our outdoor terrace that provided shade but no weather resistance cover. 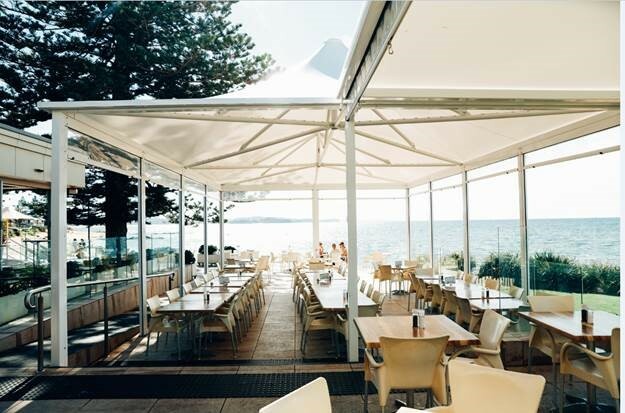 The new weather resistance (Dining Structure) by Alfresco Shade has provided the perfect solution for providing shade and weather protection. This has helped increase our ability to accommodate guests and helped us reach a record trade in March 2017. Franco, Paul, and the team were amazing to deal with. Nothing was a problem. 10/10! 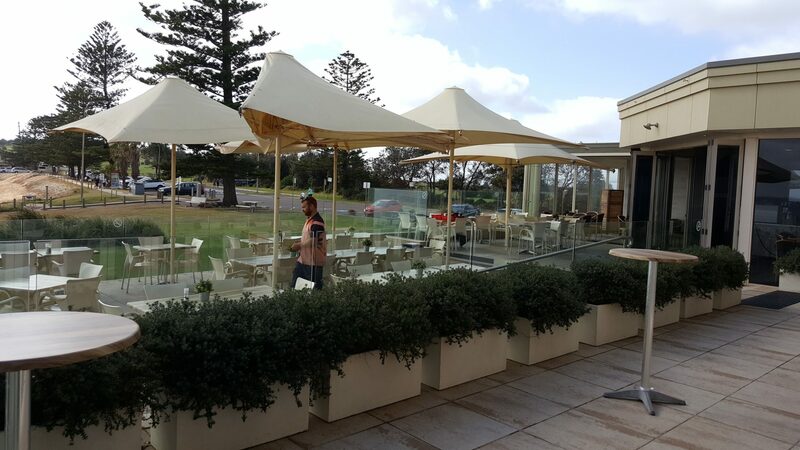 Toni Colins, Long Reef Golf Club, Collaroy, Anzac Avenue. Our 20 year old umbrella was looking dilapidated and needed a reskin. After the umbrella skin the landscape has a new lease of life, and so do its owners! (Umbrella reskin and new retractable awning). 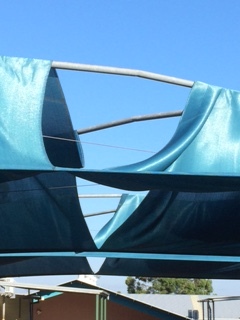 Our existing shade sail had torn, with the previous material not lasting and not UV protected. With our new Alfresco shade sail we now have a UV tolerant product. Its good quality and made with excellent workmanship. The whole process of working with Alfresco was great! 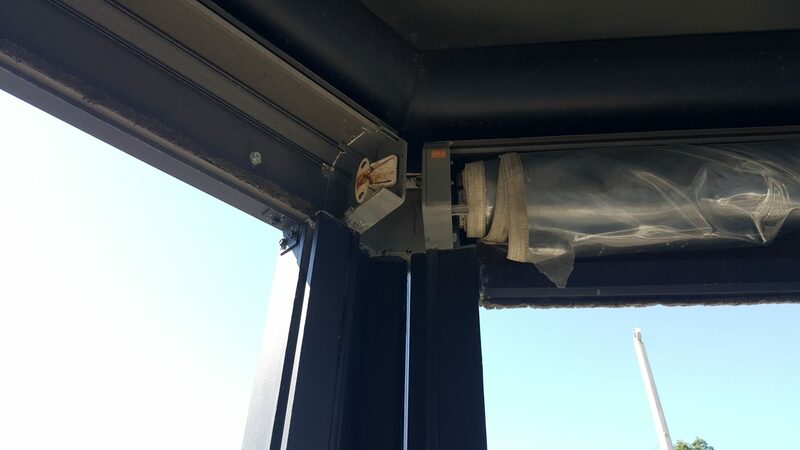 Our old blinds had worn out and the remote control motors had stopped working from neglectful use from staff members. Happy with the installation. Happy with the end product (10 x zippy blinds). 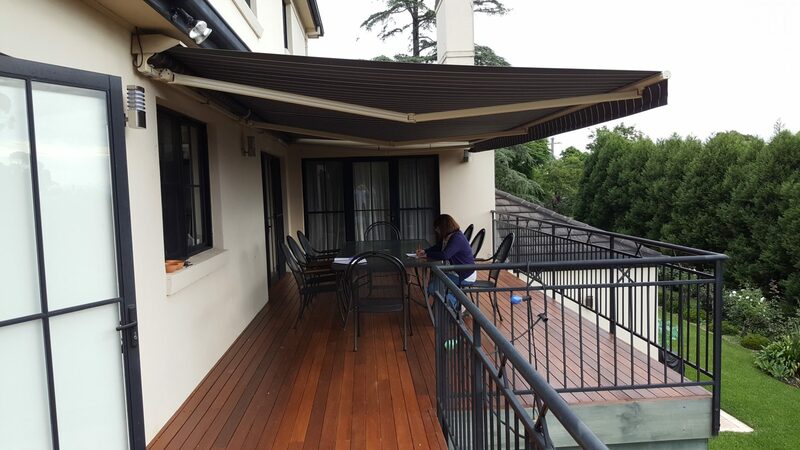 Happy with follow up service with Alfresco Shade. Before our café had an open outdoor area. 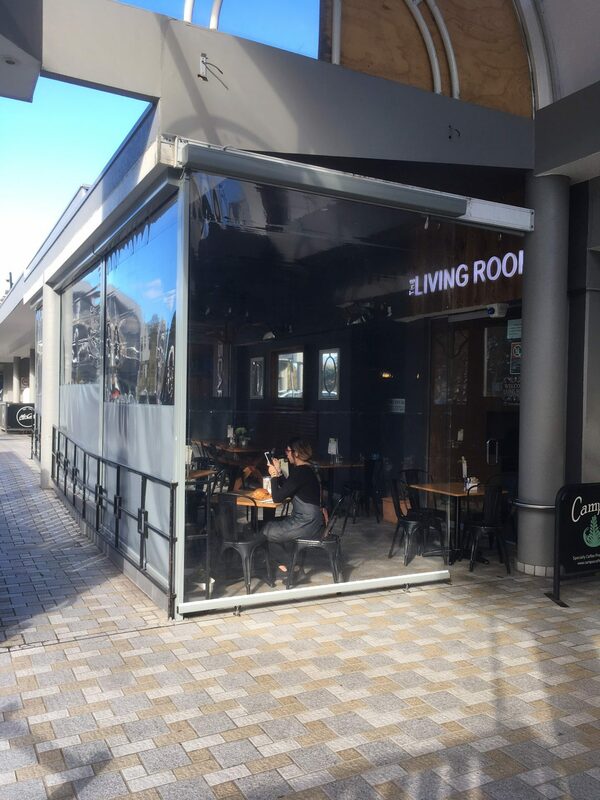 We now have a fully enclosed outdoor space. We needed a new shade sail. 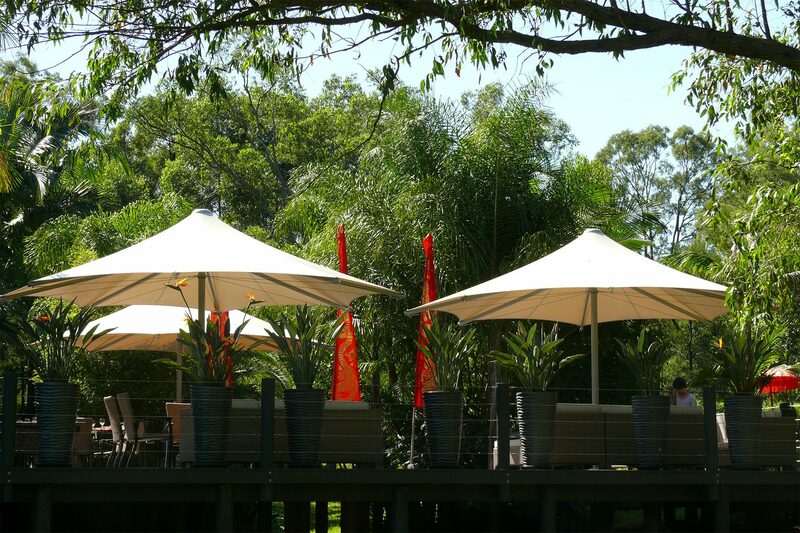 First choice in shade sails is always Alfresco Shade. 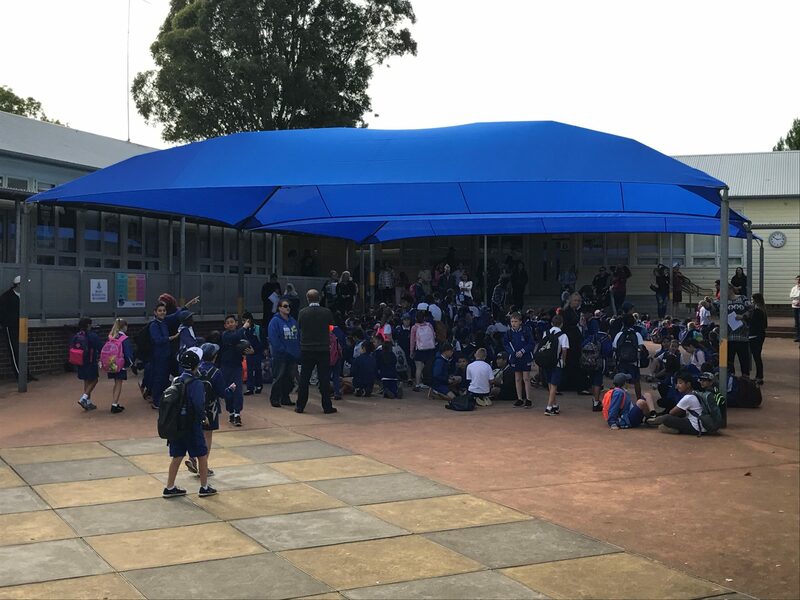 From start to finish Alfresco Shade undertook their task diligently to supply our school with a complete refurb of one shade area and to erect a designed waterproof structure that met our needs perfectly! 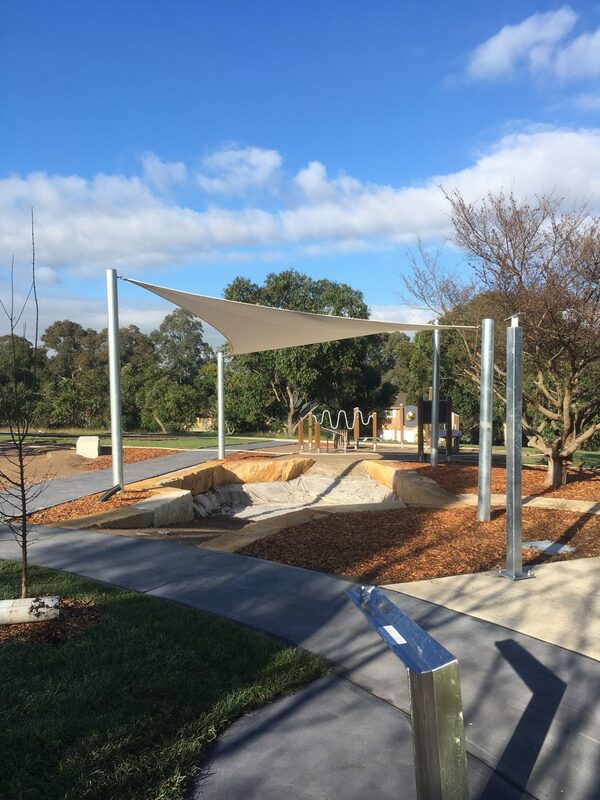 The preparation phase was professionally undertaken by Alfresco and the coordination of both projects ran smoothly and to agreed to time-frame and costs! Both structures are superb and totally meet the needs of our students and have indeed enhanced our school environment. Mr. Anthony Tsoutsa, Head of College K – 12, St Mark’s Coptic Orthodox College. For a job of this magnitude, Alfresco Shade truly delivered. 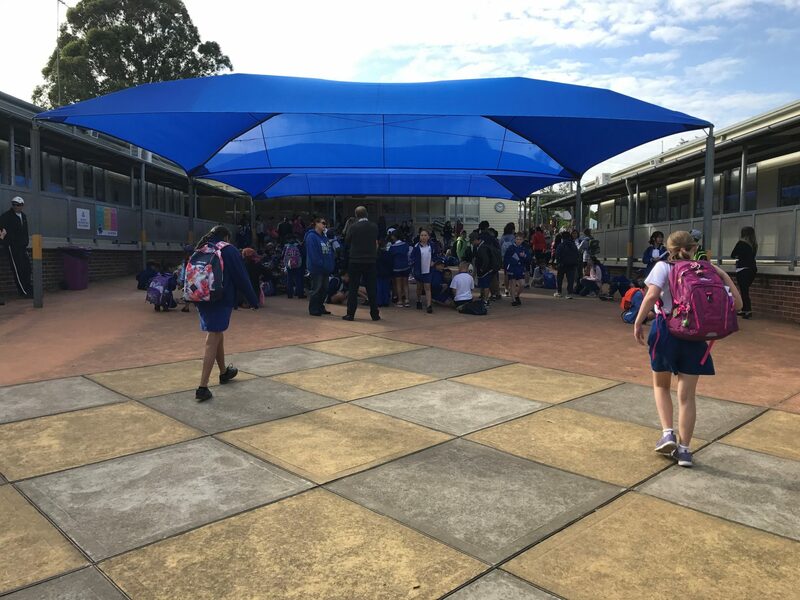 The shade sails have been a great asset to our shopping centre, and I would highly recommend Alfresco Shades to anyone looking to use this Company. Thank you for the chance to provide feedback to your current clients. 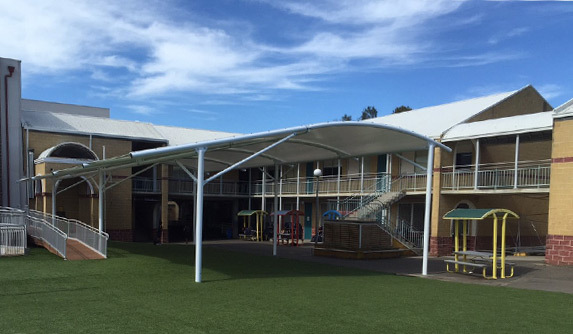 At Koala we have developed an easy relationship with Alfresco Shade. 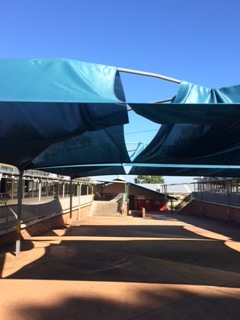 We recently contacted them about the removal of the shade cloth over winter, Franco told us he could remove, clean, store and put the shade cloth back up when we wanted on an ongoing cycle. This was wonderful as I could book it in for the year. A few weeks out before the shade needed to go back up Franco called me to work out a date to install. They are reliable and efficient with their work which is often hard to find these days. We also recently had some outdoor blinds installed to protect the children from the weather and they look amazing. 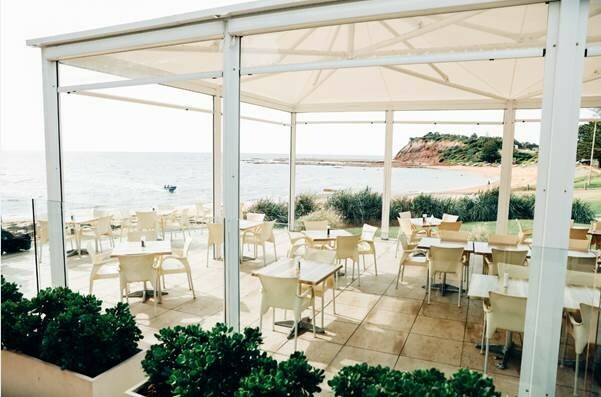 We will definitely continue using Alfresco Shade and their wonderful service. My name is Renato I am the site manager looking after the UNSW project. Thanks again for your help in this project. I’m sure we’ll be working together on another project in the future. Please see below a short testimonial about my experience with you guys. 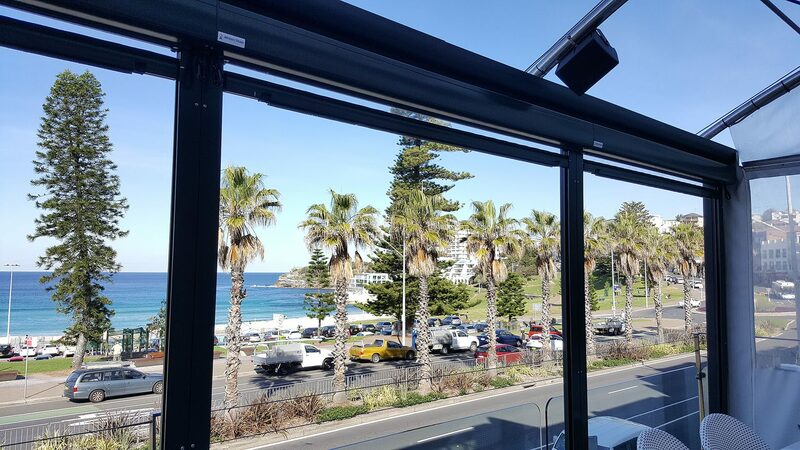 We choose Alfresco Shades due their quality and reliability. 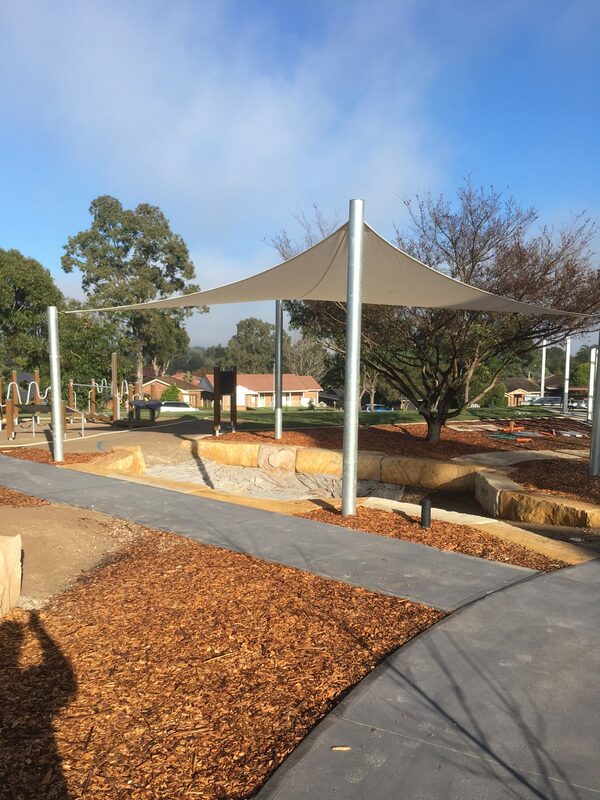 They helped us supplying and installing a top quality waterproof shade at UNSW campus. The installation was quick and very professional. I would recommend Alfresco Shade to anyone looking for top quality shades with a good price. I am looking forward to working with Alfresco Shades again. Alfresco Shade has turned our entertainment area into a unique shaded area that is only second to a fully commercial dining strip. Their umbrellas withstand the harsh Australian conditions that western Sydney dishes out on a daily basis. They have withstood, rain, hail, gusting winds and 48’ heat. We have had our 3 large fixed umbrellas on our entertaining deck for over 10 years and they look as new as the day they were installed. Believe it or not they are self-cleaning every time it rains. We wouldn’t look ant further than Alfresco Shade for our next “cover up” project. 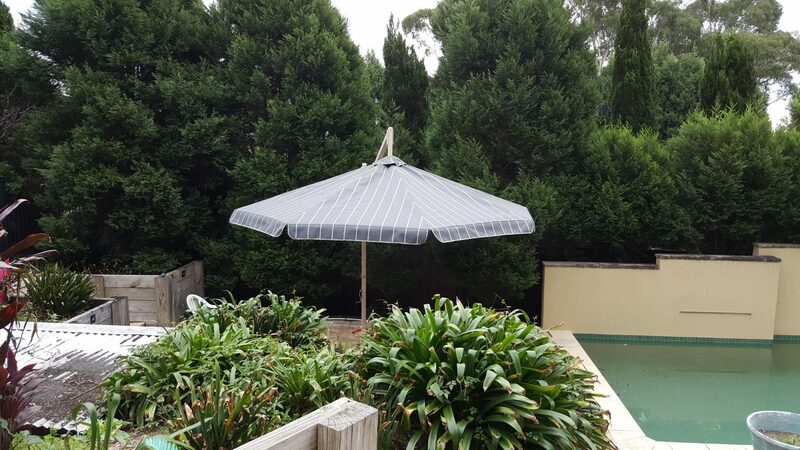 Actually we have just recently purchased the 4m cantilever adjustable umbrella for our new pool area. So, we do put our money where our mouth is.